Tollywood Prince Mahesh Babu’s kids are busy with their home work and studies. A pic of Gautham and Sitara has been leaked on social media and trending now. Have a look at this picture. 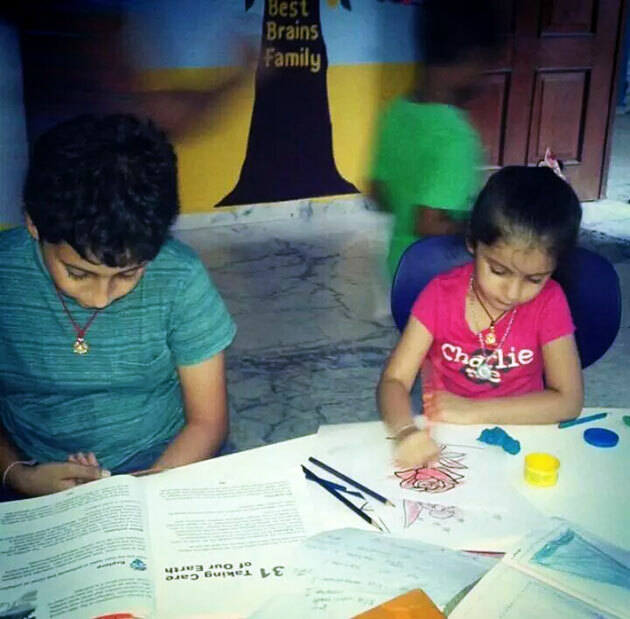 Mahesh’s son Gautham busy in reading and he is Taking Care of Our Earth while daughter Sitara busy with coloring. After watching this pic Super Star fans are highly amused by the cute hard working kids! !